How Many Chromosomes Are Found in Human Body Cells? Every cell in the body of every living organism contains deoxyribonucleic acid, or DNA. It's the self-replicating material that passes on hereditary traits from one generation to the next. The information is encoded in the sequencing of four chemical bases: adenine (A), guanine (G), cytosine (C), and thymine (T). When you talk about humans sharing DNA with each other and with other animals, you're basically talking about this sequencing pattern, because all DNA contains the same four chemical bases. Research shows that 99.9 percent of the genetic information in DNA is common to all human beings. The remaining 0.01 percent is responsible for differences in hair, eye and skin color, height and propensity to certain diseases. Scientists believe that all life evolved from a common ancestor, which means that humans also share DNA sequencing with all other living organisms. Humans share DNA with creatures closer in the evolutionary line and with common ancestors to a greater extent than with those further removed. Top on the list are the great apes, while lesser apes, monkeys and prosimians are a little further removed. Other mammals are further still, followed by insects, plants and more rudimentary life forms. The question: "Did humans evolve from apes?" somewhat misses the point. Humans are apes. A subgroup of the biological group to which humans belong, the primates, includes the great apes, and humans belong to that subgroup. It includes gorillas, orangutans, chimpanzees and bonobos. Of these four species, humans (Homo sapiens) are most closely related to chimpanzees (Pan troglodytes) and bonobos (Pan paniscus), with whom they share 98.7 percent of their genetic sequencing, according to researchers at the Max Planck Institute in Germany. Scientists believe their common ancestor lived between six and eight million years ago. Interestingly, humans share 1.6 percent of material with bonobos that they don't share with chimpanzees, and 1.6 percent of the material they share with chimpanzees they don't share with bonobos. You have to go back about 25 million years to find the common ancestor of monkeys and apes and further still to find the common ancestor of all mammals, which appeared before the extinction of the dinosaurs some 65 million years ago. In DNA comparisons between humans and animals, researchers have found that humans share more DNA with monkeys than they do with other mammals, but the actual percentages can be surprising. Whereas rhesus monkeys and humans share about 93 percent of their DNA, the Abyssinian house cat shares 90 percent of its DNA with humans. Mice and humans share, on average, about 85 percent of their DNA, which is one reason why mice are so useful for medical research. You have to go much further back in the evolutionary story to find an ancestor common to both plants and animals. Humans share more than 50 percent of their genetic information with plants and animals in general. They share about 80 percent with cows, 61 percent with bugs such as fruit flies. You'll even find human DNA in a banana – about 60 percent! The numbers can be misleading, though, because much of the shared DNA is "silent" and is not involved in the coding sequence. Smithsonian National Museum of Natural History: What Does It Mean to Be Human? 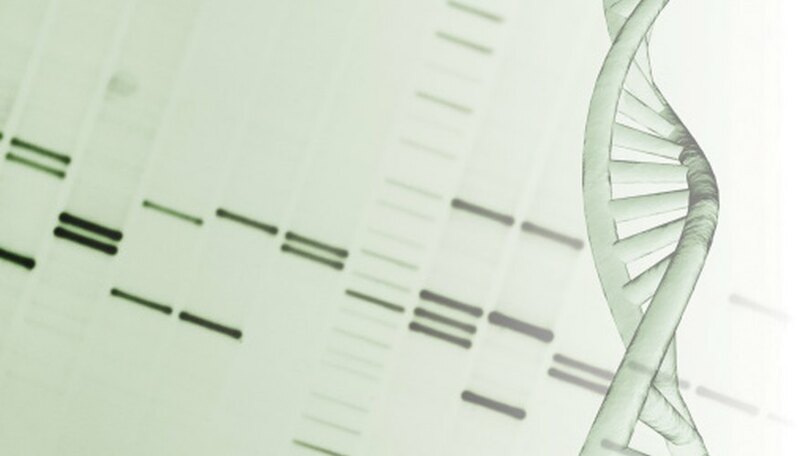 U.S. National Library of Medicine: What is DNA? What Conclusions Can Be Drawn From the Similarities of the Genetic Code Among Living Organisms? When Was DNA Testing First Used? What Is a Homologous Trait? Deziel, Chris. "Animals That Share Human DNA Sequences." Sciencing, https://sciencing.com/animals-share-human-dna-sequences-8628167.html. 20 July 2018.